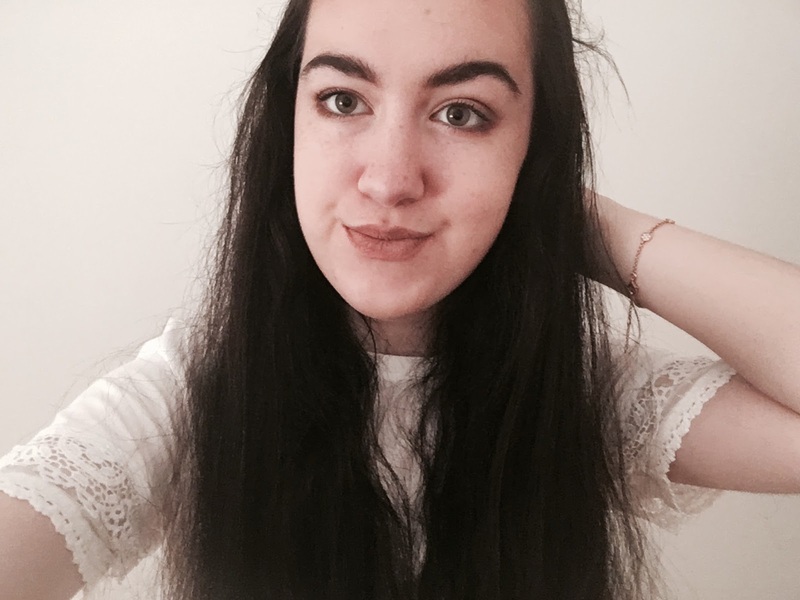 Today I am going to be sharing with you the products I have recently been wearing on my face on an everyday basis. This is the look I will most likely be wearing if I go out for the day somewhere. Starting with face products, I first of all having been using the Benefit Porefessional to prime my face. I got this in a set last November and although I don't use it all the time so that it doesn't run out, it is my favourite primer and I love using it. Next I use my Bare Minerals ready to go palette, as usual! I use the foundation and the veil all over my face, the conealer to cover any blemishes and the bronzer to bronze up my face. I'm a huge fan of using powder foundations rather than liquid because I love how it feels like you aren't wearing anything. 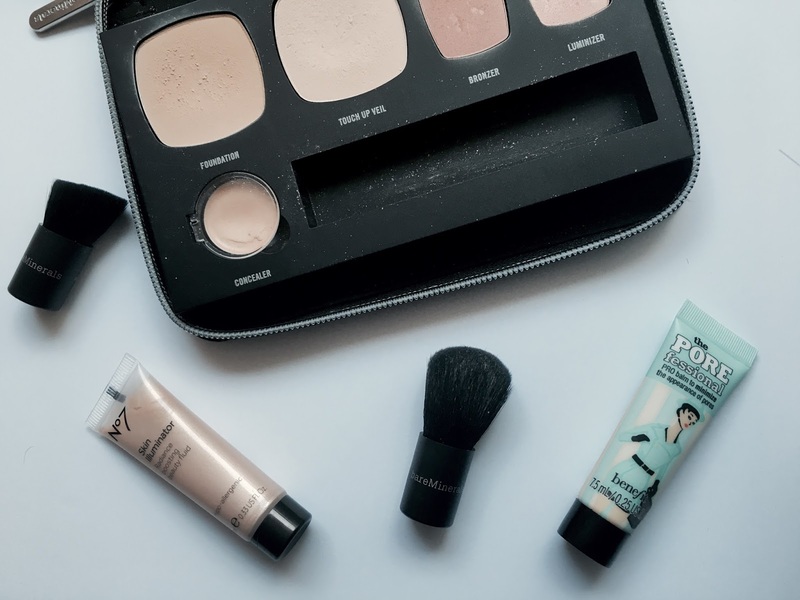 Instead of using the powder highlighter in that set, I have been recently loving the No.7 Skin Illuminator which I got in my No.7 advent calendar. This adds a lovely glow but it isn't too obvious. I then put Maybelline's Brow Drama brow mascara through my brows to make sure they stay in place all day. For my eyes, I have been loving Maybelline's colour tattoo cream eyeshadow in the shade Creamy Beige. I have never used a cream eyeshadow until this one and I love starting my eyeshadow off with it. 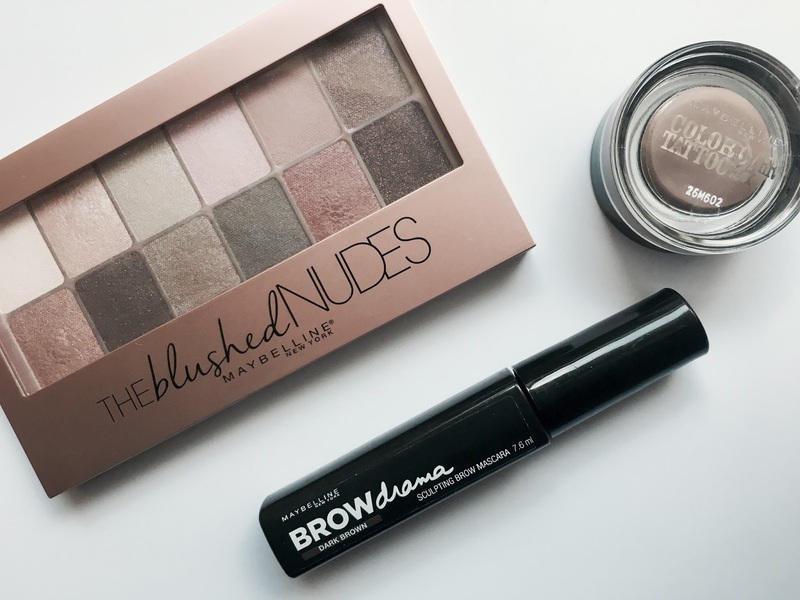 I then use the Maybelline The Blushed nudes palette. 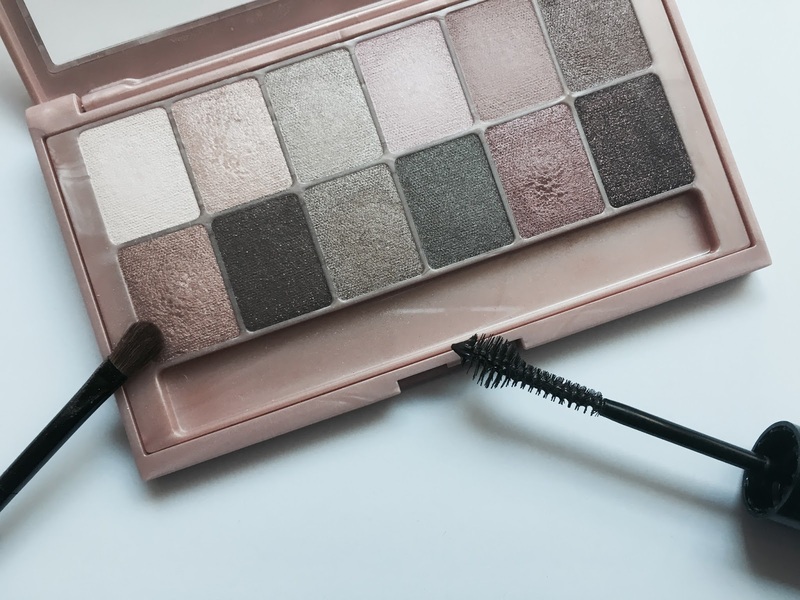 I have actually done a review of this palette already here! I usually like to put the shade on the top row second on the left all over the lid, and then put both the brown shade on the bottom row first on the right and the pink shade on the bottom row second on the right in my crease and I have been loving how this looks. I then use the No.7 extravaggant volume waterproof mascara on my lashes. I have been liking this because it isn't clumpy at all and also the only waterproof mascara I own. 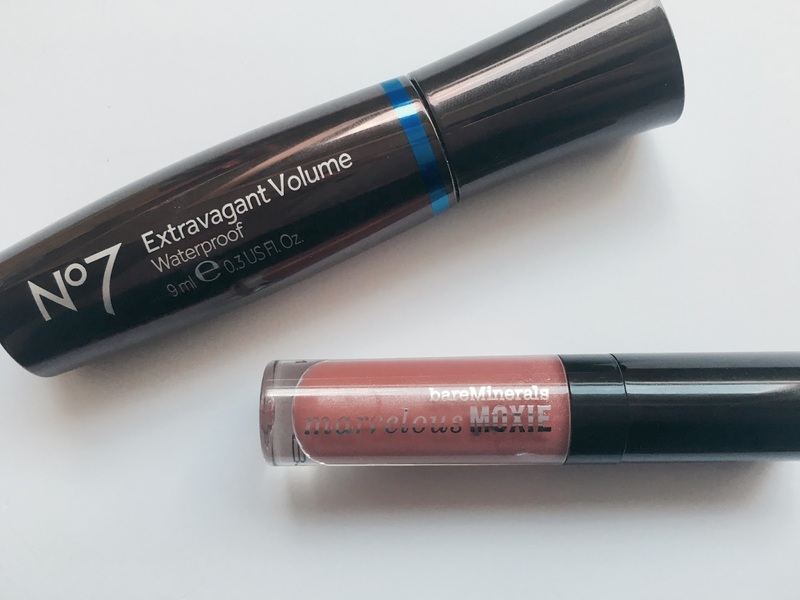 Finally on my lips I use Bare Minerals' Marvellous Moxie Lip Gloss in the shade Spark Plug. 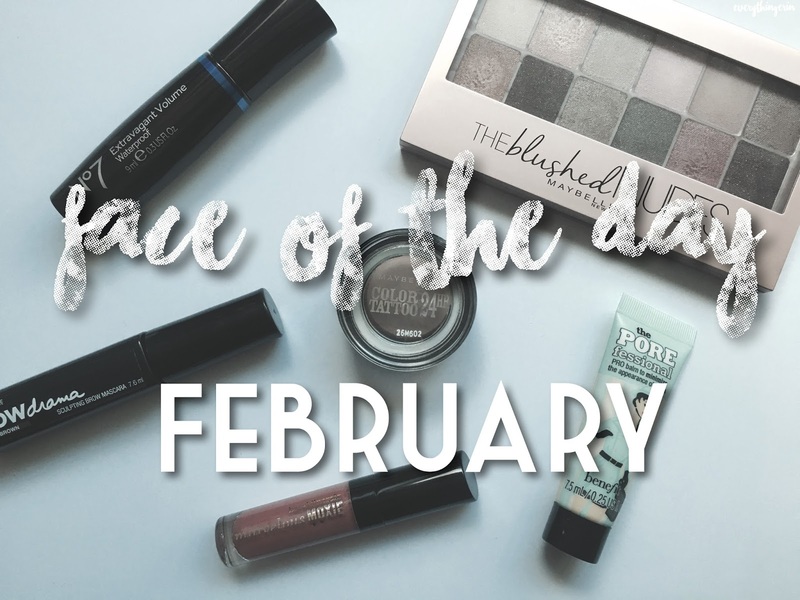 I recently featured this in my January favourites because I have worn it so much recently! 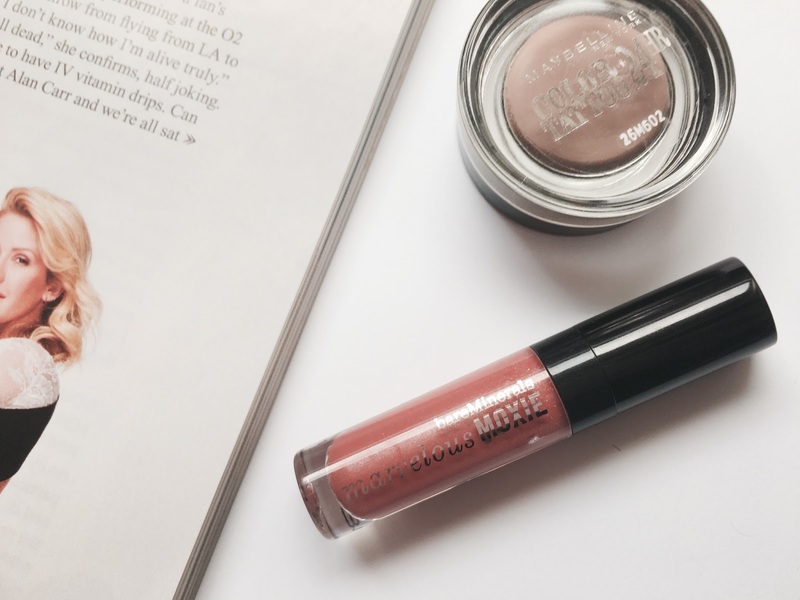 It is a lovely shade and also has made my lip feel really moisturised too! I love the Porefessional! I have to try that Maybelline palette, it looks gorgeous!